Almost a decade after he left Lagos to take up residence in Port Harcourt, Timaya is considering settling down in Lagos again. 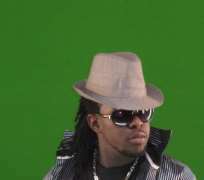 Timaya attended secondary school (Ikeja High School, Mafoluku) in Lagos and briefly worked with Eedris Abdulkareem before he returned to Port Harcourt. His debut album True Story started as an underground rave before amassing mainstream patronage between 2006 and 2007.